For over a decade the concept of “emotional intelligence” has been a buzz around the world, and while many books have defined the concept, now there is finally a book which shows leaders how to apply it. In a business climate fraught with rapid change, globalization, and an elusive pool of top talent, how do leaders forge competitive advantage? The science of emotional intelligence provides critical insights into the answer, but how do leaders put the concept in action? A new book by one of the world-leading experts shows how. At the Heart of Leadership: How to Get Results with Emotional Intelligence challenges the notion that we should leave emotions at the door. The book shows why emotions are critical to top performance, and how leading organizations such as the US Marine Corps and FedEx are using this science to gain an edge. Most importantly, the book presents a simple process for leaders to be smarter about feelings, which makes it “…an important read for any leader looking to take it higher,” Arlene Pfeiff, Vice President, Technologies, American Express. 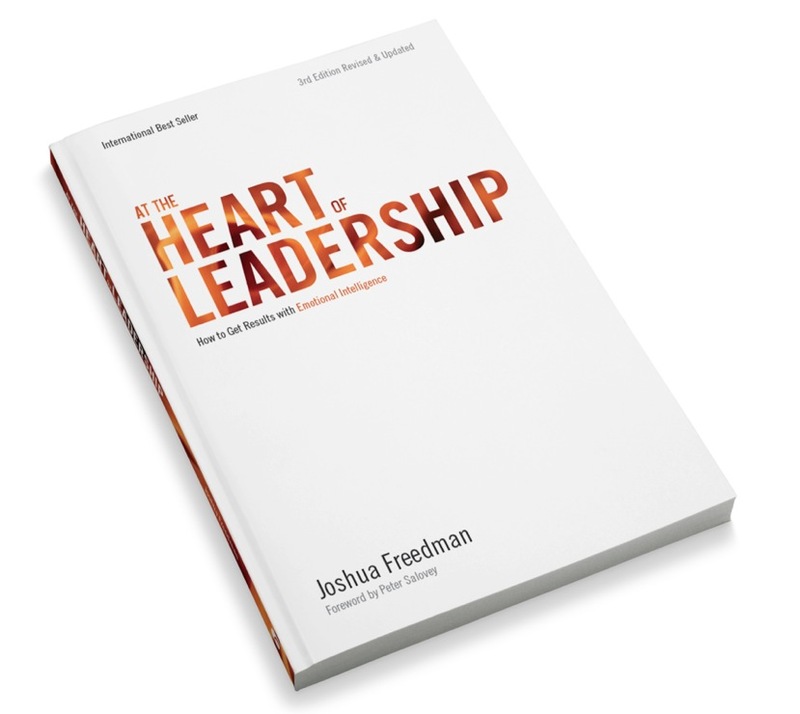 Written by Joshua Freedman, arguably the world’s top authority on how to leverage emotional intelligence for organizational performance, the book presents his decade of experience teaching these skills around the globe. Full of current research and extensive notes, the book has a solid scientific basis — including an introduction by Dr. Peter Salovey (Yale University), one of the inventors of the science of emotional intelligence.